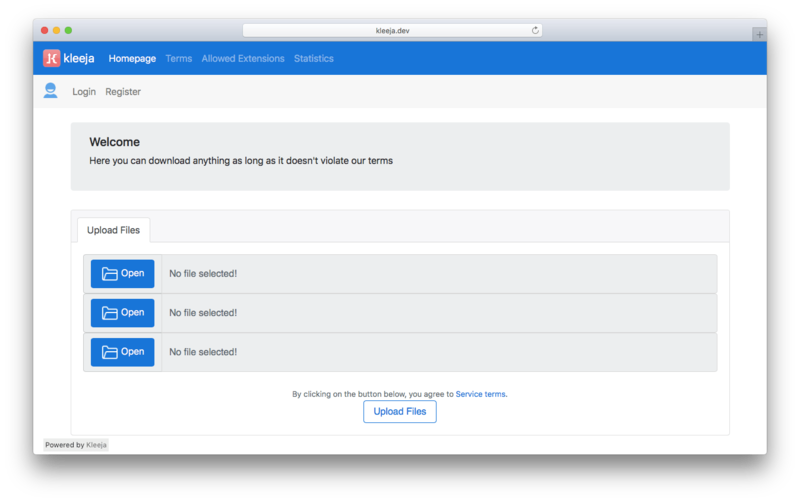 Kleeja is a powerful and easiest way to run File Upload Service on your website. Trusted by thousands of webmasters since 2007. It’s written in PHP which is available in almost all hosting solutions. 📦 How to Install Kleeja. 💉 How to update upgrade/update Kleeja. 🎨 How to install styles on Kleeja. 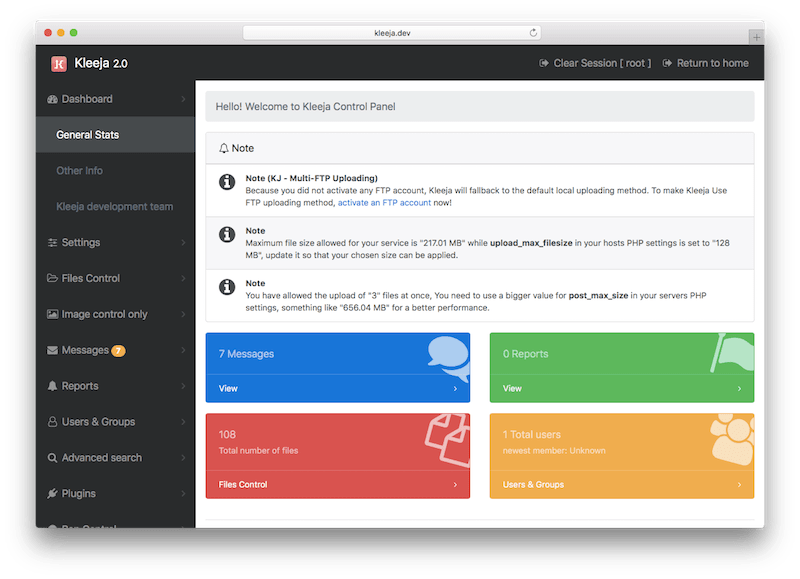 🔌 How to install plugins on Kleeja. ℹ️🇺🇸 Basic Usage - pdf. ℹ️🇸🇦 Basic Usage in Arabic - pdf. The admin can choose the number of file fields which will appear to the user in a very elegant way … the script interface is also very user-friendly. Want to use google Analytics? You can simply add the “Google Analytics” code in the script settings without having to edit the script files.. The Admin can choose to open or close the upload center with a custom message. Kleeja has Spam protection and Flood protection, also it comes with Captcha system.